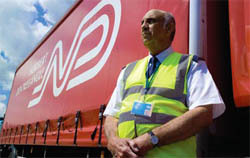 Firstly, do you require the services of a manned static security guard to help protect your business needs? We understand the importance of protecting your business from the inside and out. That’s why SFM UK Ltd provides our clients with a first-class manned static security guard service. Based in Bedfordshire, we provide security guard services to both small, local businesses and also large corporations in London. As well as across the UK and Europe. We specialise in providing clients with security guard services that will safeguard their business. No matter the size of your business. We will work closely with you to design a bespoke, cost effective solution to fulfil your security guard needs. SIA Licensed Static Security Guards – the ideal uniformed security operatives for logistics depots, hospitals, schools, building sites, distribution hubs and offices. Highly trained security guards. Trained in vehicle logging, search procedures, patrolling and reporting, first aid and fire safety. Each of our manned static security guards has been carefully chosen for their professionalism, aptitude, and most importantly… Their skills and also experience. As well as meeting and exceeding high customer service standards, we share a passion for actively contributing to the security and well-being of our clients and their business. Our clients rely on our stable workforce of highly disciplined, experienced and trained security guards to prevent incidents before they happen. If they do happen, our clients can count on our security professionals to respond quickly and competently. Security services available nationwide, including Scotland and Wales. Can be contracted on a per operative, per hour basis for either full time or part time requirements. Laslty, let us help with your security needs. Contact us for more information about our manned static security guards.